"Awesome! Every student, teacher, and parent should see this video!" "...Game Over is especially intriguing and well done. It blends nicely with the theoretical and sociological content of criminology courses and I hope to make use of it in the future." "The video and computer game industry consumes billions of dollars annually, luring young people to spend an average of ten hours a week playing electronic games. This video explores such topics as how games typically portray gender, race, and violence and what impact they may have -- especially on the males who most often buy and use them. 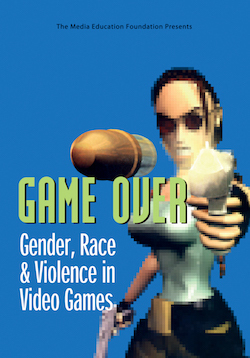 Educators with limited firsthand knowledge of video games are likely to be in for a shock when they see the extent and types of violence and the gendered and racial stereotypes that characterize the games. One of the most powerful segments includes the testimony of one of the world's foremost military experts in the field of human aggression, who details the demonstrated effectiveness of simulation games in training military and law enforcement personnel to overcome a natural inhibition to shoot other human beings. This video can be counted on to spark heated discussion among viewers who may want to defend the games as harmless fun."